The two main riders were Danny Holroyd and Adam Burns, James Hyland also a really good rider did all the website / videos, there were a few other riders Dave Finnay, Steve Howes and Chris Swallow. The videos were absolutely awesome, insane riding with loads of variation and were really well put together, everyone I knew who rode were totally inspired by them. 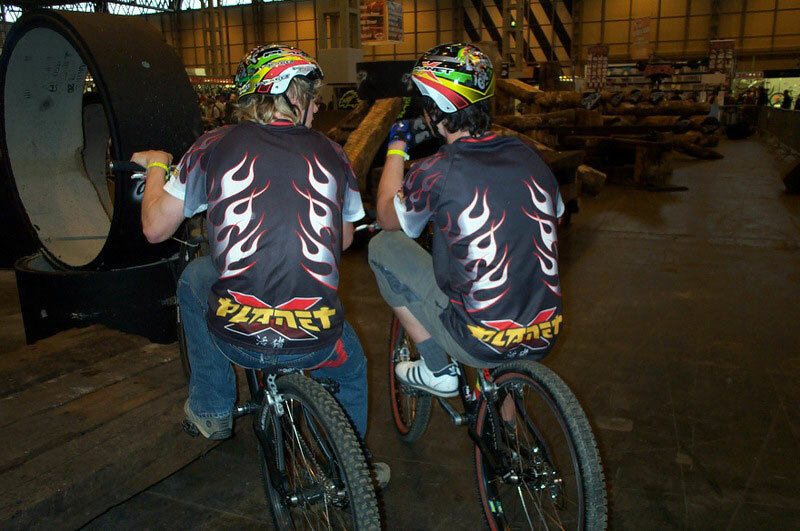 Unfortunately after a few mental years the trialskings folded, Danny is still riding and is one of the top riders in the UK, I think Adam stopped riding due to a back injury, not sure about the others, if anyone knows feel free to drop me an email. I’m sure most trials riders have already seen the trialskings videos, but for those who haven’t or those who fancy a dose of nostalgia, here are a selection of some of the best. The vid names aren’t official they are just what the files on my PC were called! !